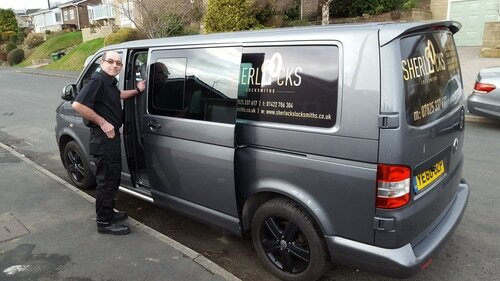 ​SherLocks Locksmiths is based in Elland, Calderdale and covers all surrounding areas including Halifax, Huddersfield, Brighouse and most of West Yorkshire. To contact SherLocks with your enquiry or 24 hour emergency locksmith requirement call Steve on the numbers below. If your enquiry is less urgent, please use the contact form and we will respond within 24 hours.